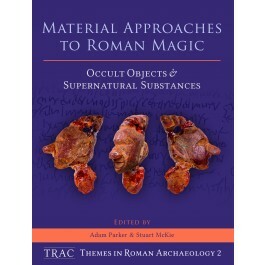 This second volume in the new TRAC Themes in Roman Archaeology series seeks to push the research agendas of materiality and lived experience further into the study of Roman magic, a field that has, until recently, lacked object-focused analysis. Building on the pioneering studies in Boschung and Bremmer's (2015) Materiality of Magic, the editors of the present volume have collected contributions that showcase the value of richly-detailed, context-specific explorations of the magical practices of the Roman world. By concentrating primarily on the Imperial period and the western provinces, the various contributions demonstrate very clearly the exceptional range of influences and possibilities open to individuals who sought to use magical rituals to affect their lives in these specific contexts – something that would have been largely impossible in earlier periods of antiquity. Contributions are presented from a range of museum professionals, commercial archaeologists, university academics and postgraduate students, making a compelling case for strengthening lines of communication between these related areas of expertise.